March 11—The Ying Quartet is performing at the Plaza del Sol Performance Hall on the campus of California State University, Northridge at 8:00 pm. Tickets are $45.00 and can be purchased through Ticketmaster.com or through the A.S. ticket office by calling (818) 677-2488. 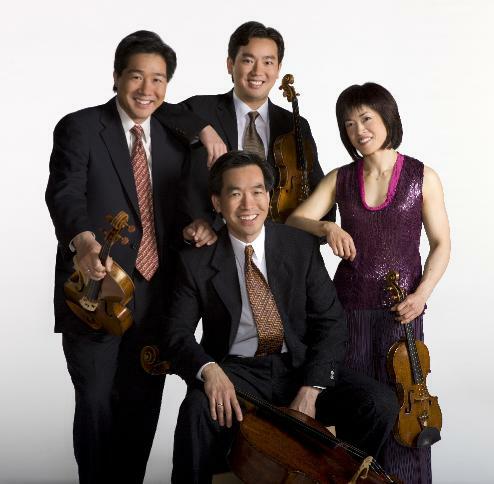 The Grammy-winning Ying Quartet occupies a position of unique prominence in the classical music world. Its performances take place in many of the world’s most important concert halls; at the same time, the quartet’s belief that music can be a meaningful part of everyday life has also drawn its four members to perform in settings as diverse as Chinese restaurants and juvenile prisons. Now in their second decade as a quartet, the Yings have established themselves as an ensemble of the highest musical qualifications in their tours across the United States and abroad. Their performances regularly take place in many of the world’s most important concert halls, from Carnegie Hall to the Sydney Opera House.